Over the last 25 years EUROCHORUS has understandably made a name for itself among the many summer choir courses available. 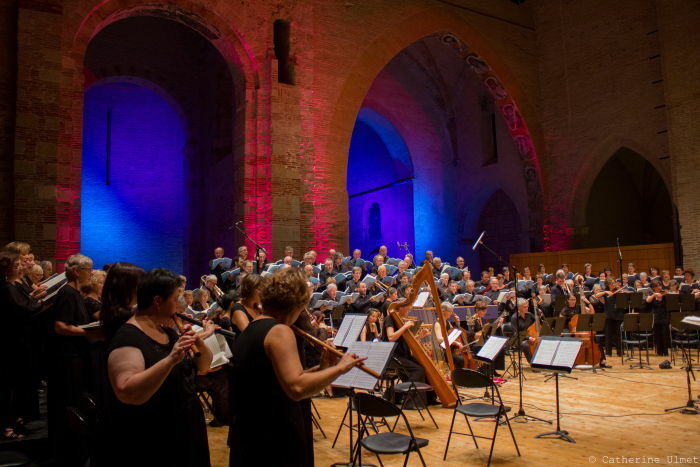 We all remember the wonderful performance of Monteverdi’s Vespers in 2017. However we cannot be content with an immutable formula, even if the values defended up to now remain unalterable ; suitable programmes, quality music professionals and a constant search for the highest possible musical level, and all this in a friendly environment conducive to artistic creativity. Two works from the second half of 19th century for choir and orchestra and which illustrate our affinities with the franco-german world. 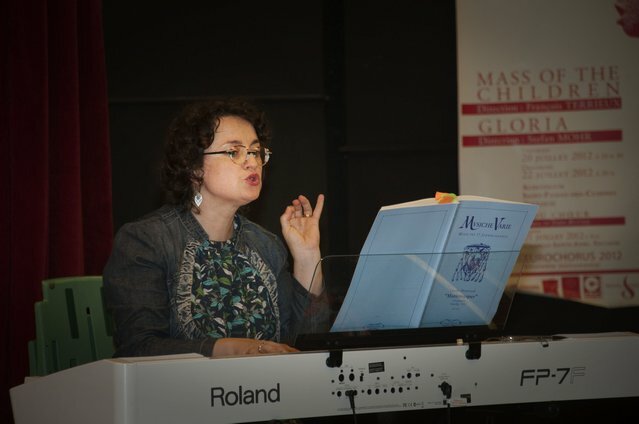 Régine Théodoresco, who has played an important role in the French choral scene has accepted to conduct the 2019 session. Her experience as choral director of the Calliope-Voix de femmes, her position at the Pôle d’Enseignement Supérieur Bretagne / Pays de Loire » de Rennes as well the reputation of the master classes that she has given both in France and abroad are pledges of confidence. We are confident that she will know how to ensure that the EUROCHORUS summer course is of a very high quality. A master class for advanced level choral conducting students will run alongside our long standing choir summer course. 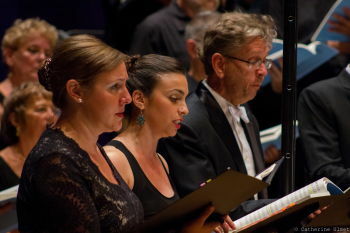 These choral conducting students will be coached by Régine Théodoresco and they will second her with the vocal technique workshops. These highly motivated choral conducting students will come from third / higher level institutions (conservatoires regionaux, Guildhall schools, music schools, universities) and will be an added plus to our choir project. The future of choral music is dependant on the quality of its conducters, EUROCHORUS is committed to this. Elsa Goujon-Grégori, long time singing teacher with EURCHORUS, has become our new artistic director a pledge that EUROCHORUS is in good hands ! 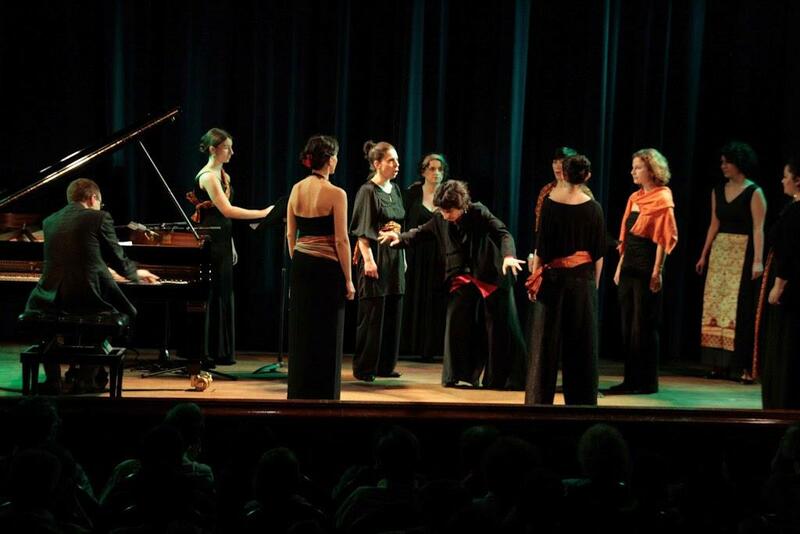 The course includes daily vocal warm up, vocal coaching in small groups, and the two concerts with orchestra at the St Pierre des Cuisines auditorium. All of this in Toulouse (the pink city because of the colour of the bricks) renowned for its pleasant and leisurely life style.